The Almshouse | After the Fire | Style Weekly - Richmond, VA local news, arts, and events. On Hospital Street on the northern edge of Jackson Ward, the Almshouse was constructed in 1860, just before the outbreak of war, for the city's indigent white residents. Designed by engineer Washington Gill, this is one of Richmond’s rare major Italianate-styled buildings. The poor had to wait, however. 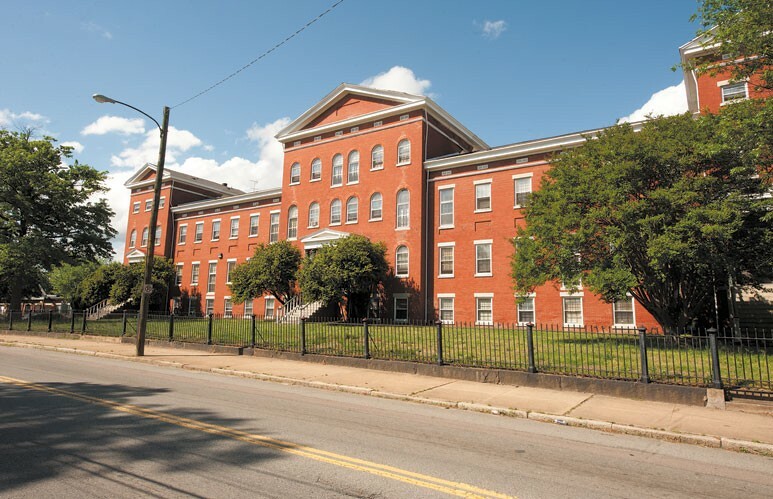 The sprawling building across the street from the city-owned Shockoe Cemetery was immediately put to use as a military hospital where it housed wounded Union prisoners. 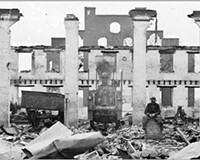 In the winter of 1864 Union troops burned the barracks at Virginia Military Institute in Lexington and the cadets were transferred to Richmond and housed temporarily in tents before being assigned quarters in the Almshouse. As they shifted quarters, Jefferson Davis reviewed the corps before it was led by a martial band to Hospital Street. On April 2, the night of the evacuation fire, the cadets joined the throngs leaving Richmond. They loaded themselves into a canal boat intended for state legislators, however, and as a VMI colonel was brawling with a state senator a cadet's gun went off, killing a man. The governor stepped in, ordered the boat back and gave the legislators priority. Today the building, ringed by cemeteries, is an apartment building. The South fell, and Richmond went up in flames. But the Civil War is still here — if you know where to look.